Already increasing popular in Australia, the famous Fishing Frenzy slot machine game has finally made its way over to our side of the world. Developed by a company known as Reel Time Gaming, the marine-themed video-slot was originally designed for betting shops Coral and Ladbrokes. Now available to be played online, users in the UK can simply pick one of the featured online casinos and immerse themselves in the enticing nautical gameplay of Fishing Frenzy. Featuring high-value jackpots and exciting bonus rounds, try your luck on this popular video-slot. 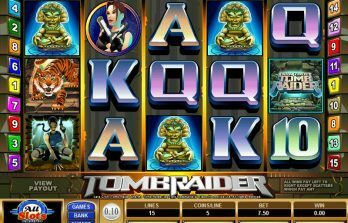 In this article, we will explore this digital slot machine game, teach you exactly how to play and give you an insight of whats in store for those that want in. This marine-themed slot machine game provides each individual with enticing game experience and is jam-packed full of both traditional and contemporary features. Playable across a range of devices, Fishing Frenzy can be played both at home and on the go; so whether you fancy a quick game on the train before work, or would rather wind down in the evening playing on a full screened laptop – the choice is yours. Designed to complement the nautical theme of the game, each of the symbols consists of either sea creatures, fishing tools, or an array of fish-shaped letters. With new-age graphics and irresistible bonus features, this charming digital slot is sure to provide you with all the gaming excitement you can handle. With a jackpot of £500, the Fishing Frenzy slot machine game can be played in online casinos and betting shops around the UK, including in renowned betting industries Coral and Ladbrokes. 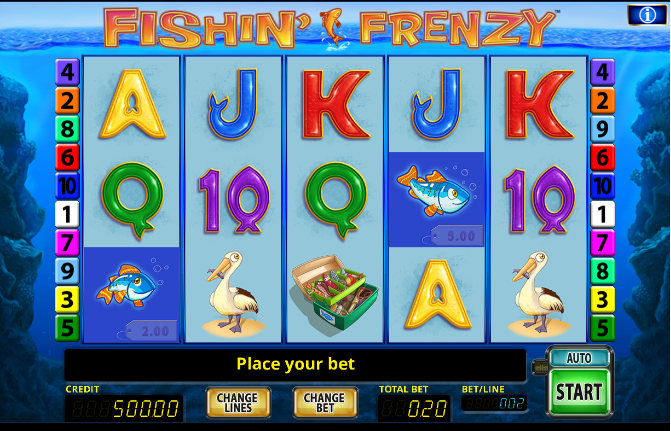 The gist of Fishing Frenzy is simple, containing twenty win lines and five reels, conveying the traditional slot machine as they spin to a stop. To start, decide on the stake you’d like to play with; a variety of options are on offer ranging from 20p to £2.00 – ideal for those who are striving for a larger jackpot. Obvious from the title of the game, Fishing Frenzy is based around a marine theme, with a variety of cash values overlaid on the aforementioned sea animals, fishing gear and a range of fish-shaped letters. Throughout the duration of the game, there is the potential for a fisherman to roll into view; if he makes an appearance whilst cash valued items are on the reels, he reels them in towards him to increase the cash prize. The symbols of lowest value are the letters and the charming cartoon fish, displayed playfully on the screen in an array of vibrant colours. The high-value symbols consist of a fishing box containing bait, a fishing rod, a seagull and an inflatable life-ring. Boasting the option to increase the number of lines on your bet, the user-friendly design lets you adapt the amount with a simple click. With the change illustrated clearly on the screen, players can rest assured that the change has taken effect instantly. Once you’ve chosen your ideal stake and number of playable lines, simply press spin, sit back and watch the cash values add up. For those lucky enough to land three, four or five bonus scatter symbols on the final reels, a free spins bonus game can be achieved. Three of the bonus symbols will entitle you to ten free spins, four allows fifteen, and five allows twenty. In addition to the luxury of free spins, at the start of the bonus game, a cash award is also offered. Whilst the prize is random every time, the value of the cash is largely dependant on the stake you have decided to play with and the amount of scatter symbols you have achieved in the previous round. Clearly displayed in the top centre of the screen, simply cash out your prize or use it to continue immersing yourself in the gameplay. Throughout the duration of the bonus round, the previously mentioned fisherman is sure to make an appearance, catching more fish and reeling them in for high-value prizes. Even better, reel wins are also more frequent in this round – so get ready for some well-earned cash prizes if you manage to collect those scatters. With a maximum value prize of £500, the free spins bonus round does not hold the ability to be re-triggered and can only be played again through bagging another three, four or five scatter symbols in a new game. Boasting a wide range of exciting bonus features, Fishing Frenzy is sure to meet all your slot-gaming needs. When you achieve a win, the game gives you the chance to double the value. A down-turned card will appear on the screen; simply guess the colour of the opposite side correctly to double your cash prize. Be careful when taking this gamble though, as if you make the wrong choice you will lose everything! 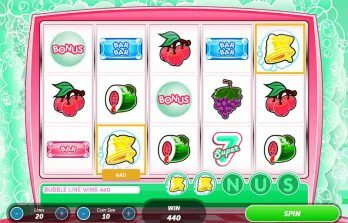 As mentioned previously, free spins can be achieved by finding three, four or five scatter symbols on your reels. With the appearance of a boat sailing into the sunset, the scatter symbols are an exciting find throughout the game. While this feature cannot be re-triggered, a successful fisherman symbol can be activated in the bonus rounds, reeling in cash-valued fish for additional wins. With the addition of the auto spin feature now present in the game, choose an amount from 5 to 99 spins, press the auto spin button and relax as the game spins itself throughout the rounds. 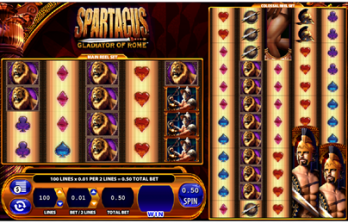 With exciting bonus features, nostalgic cartoon graphics and great winning potential, you’re sure to become hooked on this traditional video slot.